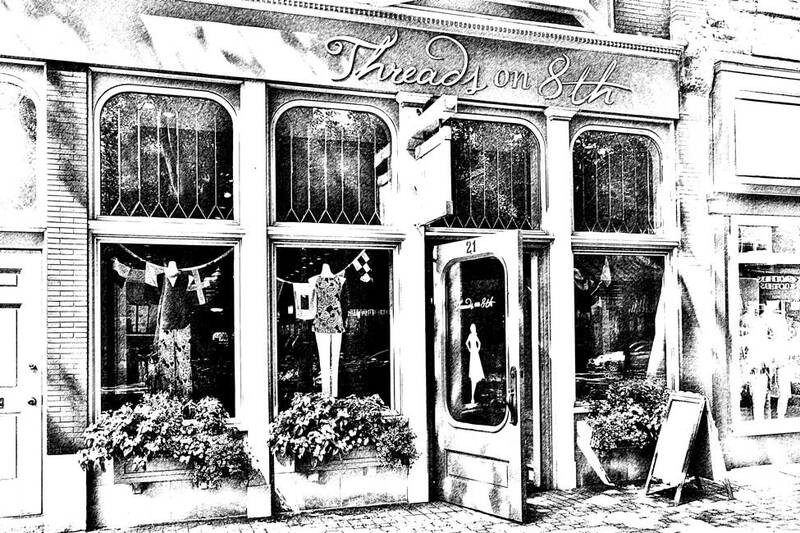 A Photoshop rendition of a clothing shop in downtown Holland, Michigan. The graphic pen effect made a stronger image than the photograph of the building’s face. The process works well with many architectural and other high-contrast images. Click on the photo to see a larger version.